When I go to the public library and select a book dealing with human origins, I often feel rather like someone in a Star Trek episode who might be transported inside one of those cubic spaceships of the Borg Collective, and who then might seek out a fresh, individualistic opinion from one of the inhabitants. It sometimes seems that the community of evolutionary biology professors is some kind of Borg Collective or hive mind, enforcing the same rubber-stamp thinking with robotic efficiency, with the same lack of individualism as a division of North Korean soldiers. So if you pick up a book on biological origins, you will expect that with high probability you will get the same old “just so stories,” the same old requirements underestimations, the same old exaggerations of the significance of peripheral or borderline evidence, the same old worshipful kneeling to Darwinian authority, the same old claims that the not-at-all-creative principle of natural selection is a magic wand that explains practically all of the wonders of biological innovation. I was therefore quite surprised to find on my public library bookshelf the book Why Us? How Science Rediscovered the Mystery of Ourselves by physician James Le Fanu, who has written extensively in mainstream media and journals such as the British Medical Journal and the Journal of the Royal Society of Medicine. Although he shows no religious motive, Le Fanu is very much a skeptic about the explanatory value of Darwinism. Le Fanu does not seem to doubt that life on Earth is very old, and he seems to favor the idea that humans have somehow evolved from other species. But he rejects the claim that Darwin's idea of natural selection can explain the origin of mankind or the more impressive cases of biological complexity. On pages 92-95 Le Fanu discusses the evolution of the eye, eventually concluding on page 95 that “there is not a single empirical discovery in the past 150 years that has substantiated Darwin's proposal that natural selection, 'taking advantage of slight successive variations,' explains the 'puzzle of perfection' epitomised by so many different types of eye – which remain yet more puzzling than it was in 1859.” He would have made this point more powerfully if he had also pointed out the incredibly elaborate proteins and brain changes involved in vision. However, biochemists have shown that even a simple light-sensitive spot requires a complex array of enzyme systems. When light strikes the retina, a photon interacts with a molecule called 11-cis-retinal, which rearranges within picoseconds to trans-retinal. The change in the shape of the retinal molecule forces a change in the shape of the protein rhodopsin. The protein then changes to metarhodopsin II and sticks to another protein, called transducin. This process requires energy in the form of GTP, which binds to transducin. GTP-transducin-metarhodopsin II then binds to a protein called phosphodiesterase, located on the cell wall. This affects the cGMP levels within the cell, leading to a signal that then goes to the brain. The recognition of this signal in the brain and subsequent interpretation involve numerous other proteins and enzymes and biochemical reactions within the brain cells. Thus, each of these enzymes and proteins must exist for the system to work properly...In summary, the eye is incredibly complex. Since it is unreasonable to expect self-formation of the enzymes in perfect proportion simultaneously, eye function represents a system that could not have arisen by gradual mutations. Defenders of Darwinian orthodoxy are constantly trying to make it look as if everyone accepts Darwinism but the religiously motivated. A book like Le Fanu's helps to show otherwise, for he seems to have no religious motivation at all. While many claim that we must choose between Darwinism on one hand and creationism or intelligent design on the other hand, Le Fanu's book reminds us there is another major alternative: the simple alternative of saying, “We don't know the answer to this mystery.” You may refer to this position as origins agnosticism. Why does someone like Le Fanu differ so strongly from the professors of evolutionary biology? Is it because he knows less about biology than such persons? Not at all; doctors know just as much about biology as biology professors, and probably more. 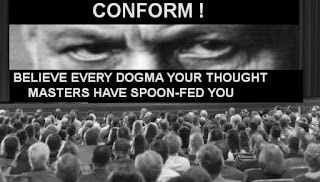 I think the difference is that when you train to be a doctor, you do not undergo the years of social conditioning that our evolutionary biology professors are subjected to, in which they are placed in club-like “high peer pressure” social environments in which adherence to Darwinian dogma is constantly demanded. You can get to be a doctor without becoming a thought-robot of the hive mind or Borg Collective that is the community of evolutionary biology professors. Surveys indicate that skepticism about Darwinian orthodoxy is much higher among physicians than among professors, and the author of this scientific paper is another doctor doubtful about Darwinism. A superb writer, Le Fanu is a critic of great insight, and his book is very thought-provoking. On page 108 of his book, he makes a comment that the modern scientist should print out and tape to his office wall: “The greatest obstacle to scientific progress, after all, is not ignorance, but the illusion of knowledge.” True indeed – our scientific progress may be accelerated when overconfident scientists stop pretending to understand mysteries that they do not really understand, mysteries that may take mankind a thousand years to solve. I found that neo-Darwinism doesn't work very well as a description of real life. Several big things about life in general just don't add up in the context of neo-Darwinism: There's aging and death -- I'll try to show you in the coming chapters why I don't think you can account for the basic facts about aging within the framework of neo-Darwinism. 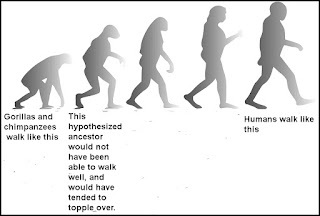 But in addition, neo-Darwinism can't account for sexual reproduction or for the structure of the genome that seems actually "designed" to make evolution possible; neo-Darwinism also does not have a place for the recently established phenomena of epigenetic inheritance or horizontal gene transfer. On page 84 the authors state this: "Natural selection cannot be observed in the wild, because it requires huge areas and thousands of years." On the same page the authors state this: "But evolutionary biology today is a uniquely sick science, missing the vibrancy, the audacity, and the commitment to empirical truth that form the core of the scientific method." 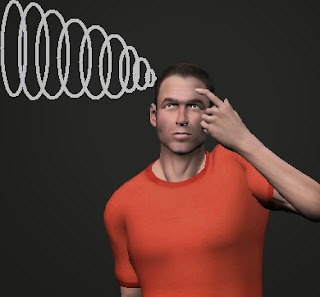 My previous post discussed experimental evidence suggesting precognition, which is defined as anomalous knowledge of the future not achieved through the normal senses. Experimental evidence gathered in laboratories is only part of the evidence for precognition. There is also episodic evidence from human experiences outside of the laboratory. Larry Dossey's book The Science of Premonitions is an excellent summary of such episodic evidence. Below are some of the very interesting accounts in that book. A woman awoke at 2:30 AM, having had a nightmare that the chandelier above her baby's crib had fallen, crushing the child. In her dream she saw a clock with the numbers 4:35. She took the child out of the room with the chandelier, and brought the child to sleep with her. At 4:35 that morning, the chandelier did fall into the crib, exactly as in her dream. William Cox researched train accidents between 1950 and 1955, and found that in every case the number of people traveling on the trains was less than the number who rode similar trains that did not crash, suggesting a possible precognitive ability of humans. Quite a few people reported premonitions of the September 11, 2001 disaster before it happened. The four jet planes involved in the disaster had an average of only 21% of their seats filled, as if people had sensed something bad was going to happen. On May 3, 1812, John Williams had the same dream three times in a single night: a very specific dream about someone assassinating Spencer Perceval, the British Prime Minister. Eight days later Perceval was assassinated, and several of the details matched William's dream. A few days before he was assassinated, Abraham Lincoln had a dream that he would be assassinated. The famous writer Mark Twain had a dream about the death of his brother that turned out to closely match what happened a few days later. Several people had premonitions that something would go wrong on the Titanic before it sunk. One person who had a ticket on the ill-fated ship had two dreams that the ship would overturn, with passengers in the water. In 1950 a church blew up in Beatrice, Nebraska, at a time when the church normally would have had a choir practice. Amazingly, no one was hurt, because the church was empty. We can only guess at how many of these people felt a premonition of doom, and avoided their regular choir practice. According to research published in the Journal of the Society for Psychical Research, dozens of people had premonitions of disaster before the Aberfan avalanche that killed 144 people. Some had dreams about such a disaster before it happened. During World War II Winston Churchill had two premonitions that may have saved his life or those of others. One premonition led him to switch sides on his staff car. A bomb then went off near the side he moved away from. Another premonition led him to tell his kitchen staff to leave the kitchen and go underground. A bomb then destroyed the kitchen. As reported here, Lawrence Francis Boisseau had a dream that the World Trade Center was collapsing around him. Boisseau was killed in the attack. Out of Langford's mouth came a prophecy. “A United States Pentagon official would be kidnapped by terrorists on the evening of 17 December 1981.”....Langford said he saw the terrorists breaking into the Pentagon official's apartment, binding and gagging the man, and then kidnapping him. Even more specifically, Langford saw this high-ranking official being shoved inside a trunk and secreted in the back of a van. Sure enough, on December 17, 1981 exactly such a thing happened to Brigadier General James L. Dozier, who was kidnapped by a terrorist group called the Red Brigades. The van even had the same color mentioned by Langford. I was not at all surprised to read about Boisseau's dream of the World Trade Center collapsing, for I had such a dream myself, several months before September 11, 2001. It was a very simple dream. In my dream, first I was standing inside the World Trade Center, and then the floor collapsed underneath my feet. 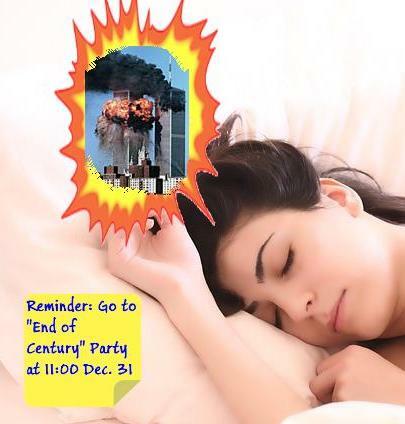 In the dream I saw myself plunging as the whole building seemed to collapse. That day I told my wife that I had dreamed that the World Trade Center had collapsed. Several months later I was in the World Trade Center when a jet plane hit, but I was able to escape before the whole building collapsed. This is the only dream I have ever had about a building collapsing. This is only one of many cases in which there was an uncanny match between something I dreamed and something that occurred. According to this wikipedia.org list, the most recent major earthquake in California was the Richter 6.0 quake of August 24, 2014, which caused over 300 million dollars of damage. About 4 hours before the earthquake, at about 2:00 AM I had a dream of a trash can mysteriously moving around on the floor, even though no one was touching it. I thought to myself: this might have been a dream of an earthquake tremor. Lying in my bed, I decided to send out a Tweet describing my dream – as soon as I woke up in the morning. When I woke up and checked the news, I saw it was too late – the earthquake had already occurred, a few hours after my dream. The post here describes quite a few dreams I had that seemed to closely match reality, mostly events in the future or past events I had not yet learned about. The post here describes a case in which I had a dream of a meteor falling. There was an uncanny match between details of the dream and an event that happened a week later. It has been quite a while since I had any dream experience closely matching reality. So I thought that I was all done with experiences suggesting precognition. But then this year something very astonishing happened. I was eating dinner with my wife, watching the very entertaining and funny TV show The Carbonaro Effect. In this hidden camera reality TV show, magician Michael Carbonaro performs magic tricks in front of people who do not know that Michael is a magician and do not know that they are on TV. I was watching the show in my living room, while my TV screen showed Carbonaro sitting with some other person at a table (I had not noticed they were in a room that was an office dining area). I went into my kitchen, where I could not see the show, and suddenly an idea popped into my head. It was an idea for something that would be very funny if it were done on The Carbonaro Effect show. My idea was that Michael Carbonaro could take a frozen fish and put it in a microwave oven, kind of saying, “I'm going to heat up my lunch now” in front of someone. Then when he opened the microwave door, there would be a live, moving fish about the same size as the fish he put in the microwave. I thought to myself: that would be very funny, to see something like that on this TV show. I returned from my kitchen to the living room, to watch some more of the TV show. About 30 or 40 seconds later I saw Michael doing exactly what I had imagined. He took a frozen fish, and put it into the microwave. We saw the microwave oven apparently running, and then Michael appeared to take a live fish out of the microwave. He was saying something like, “Wow, I guess the fish came back to life,” or something to that effect. They might have done this trick by having a trick back door in the microwave, or maybe Michael had the live fish up his sleeve. I had never seen the TV episode in question before, nor had I seen anything like it on any TV show. But my mind somehow managed to get the idea of exactly what was going to happen 30 or 40 seconds into the future – a totally weird and unpredictable type of thing. What are the odds of that happening by chance, maybe a million to one, or a billion to one? I cannot say these things amount to ironclad proof that humans are able to sense the future in some paranormal way. I can merely give you some advice. If you ever have a strong premonition that disaster is about to strike, take that very seriously. So, for example, if you are about to board a bus, and you suddenly see in your mind a very vivid vision of the bus crashing, like in the Final Destination movies, with clear and distinct details, then take that seriously and go on some other bus. And if you have a flight scheduled for Tuesday afternoon, and you have a dream on Tuesday morning that your plane crashes, take that very seriously and change your travel plans. We are suckers for narratives told by mainstream authorities. A large fraction of us will tend to believe any nonsense they pitch, whenever we keep hearing the same story told over and over again. Let us imagine an alternate history in which suspected presidential assassin Lee Harvey Oswald was not killed by Jack Ruby. Imagine that most of the TV shows and newspapers began telling us the same story: that Lee Harvey Oswald was an innocent patsy set up by some dark conspiracy to assassinate president John Kennedy. Imagine if Lee Harvey Oswald became a popular celebrity, who went on lots of television talk shows, talking about how he had been framed for the murder of John Kennedy. Imagine if the mainstream media had nothing but nice things to say about Lee Harvey Oswald. Hi, Lee! Oh, I see you bought me a rifle as a gift. How nice of you! Come in out of the rain, and have a cup of coffee. Our tendency to believe any nonsense that is spouted by revered authorities was shown in the prelude to the American invasion of Iraq in March 2013. The government began telling us silly scare stories that were false. President George W. Bush asserted again and again that Iraq had terrifying weapons of mass destruction. A study found that Bush made 232 false statements about Iraqi weapons of mass destruction, along with 28 false statements about Iraqi links to Al Qaeda. Some of the claims were absurd, such as his February 6, 2003 statement making it sound as if there was a threat of Iraq releasing aerial drones that would spray biological weapons on the United States. The claim was utterly laughable, because at the time the United States had the mightiest air force in the world, and Iraq's air force was almost nonexistent. Bush's claims on Iraq's weapons were false, and some of his scare stories were downright ridiculous. But the American people were pushovers for the endless narrative repetition. By the time the war was launched, the White House had persuaded most Americans that the toothless Iraq was a terrifying threat. It was further evidence that large fractions of the population will believe false or absurd statements as long as they are dogmatically proclaimed by respected authorities. It is amazing that most of the American people fell “hook, line and sinker” for the government's false claims about Iraq weapons of mass destruction. We should have learned a lesson from the experience of the Vietnam war, during which administrations (both Democratic and Republican) fed us a steady stream of outrageous lies for more than 8 years. From such an experience we should have learned to have been more distrustful of authorities in high places. It is interesting to imagine an alternate reality in which astrologers were in charge of astronomy departments at universities. Astrology is a belief system based on the idea that the stars and planets exert some occult mystical influence on human affairs. You might think that if the departments of astronomy at colleges and universities were all controlled by astrologers, that most of us would shake our heads and ask: what has gone wrong with our astronomy departments? But here is how things would probably work. Having abundant government and university funding, the astrologer professors of astronomy would be able to produce lots of papers trying to back up their claims. Such astrologers would use expensive computers to examine historical data, looking for particular events that were consistent with what astrology predicted on such a date. Having all of human history to search through, and tons of time to spend looking for matches, the professors would no doubt find some matches. Such matches between historical facts and astrological predictions would be described in scientific papers published by the astrologer professors. Such professors would triumphantly describe such evidence as decisive proof of the claims of astrology, that the stars and planets exert a mystical influence on human affairs. Almost any group with enthusiastic adherents and large amounts of funding can produce superficially persuasive evidence to back up its favored doctrines. If such astrologists controlled the astronomy departments at our colleges and universities, and they were to get all their papers published in the scientific journals, and the mainstream media reported extensively on such papers, then probably most of the American people would believe in astrology. We would be captives of the endlessly repeated official narrative. Similarly, most Americans would believe in homeopathy if homepathy enthusiasts controlled the medical colleges. When a mainstream authority holds the levers of powers and influence, it can effectively use various ad hominem techniques to marginalize the critics who point out gaps in the logic or evidence presented by that authority. So during the run-up to the start of the Iraq war in 2003, there was a great chorus of establishment voices denouncing critics of the unprovoked invasion as “peaceniks,” “pacifists,” "anti-American," "appeasers,” and “unpatriotic.” Similar tactics are used by modern authorities who try to paint as “enemies of science” anyone who questions some weakly established truth claim of a scientist. It seems that almost any nonsensical doctrine could achieve large-scale acceptance just as long as it won large funding to push its message and got its adherents to sit in positions of power and influence. If the authorities today told us (as they did around 1500) that witches were a grave peril causing all kinds of social problems, then many an average Joe would now be arguing: hey, let's solve more of our problems, by burning more witches. Mainstream authorities help to cast a spell on us by talking in dense jargon that may sound very impressive and learned, even if it states ideas that are poorly substantiated. But almost any nonsensical idea may sound impressive if it is stated in very technical language filled with jargon. A scientist would probably convince many that there is a secret world of life inside a hollow planet Earth, if the scientist stated the idea in a paper filled with dense jargon, twelve-letter words, and esoteric mathematical equations. Two classic psychology experiments have shown how prone we are to conform with authority, “tow the line” and go with the herd, even when doing such a thing makes no sense or contradicts the evidence of our own eyes. One such experiment is the Asch experiment. 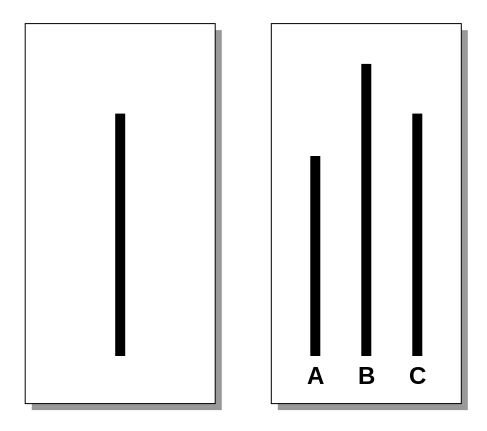 In that experiment a group of nine people were asked to judge which of the three lines in a rectangle on the right was a match for the single line in the rectangle on the left. The first eight people would always give the same wrong answer, because they were confederates of the experimenter, and had been told beforehand to give such an answer. 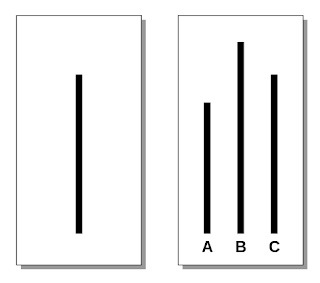 The only person really being tested was the last of the nine to be asked about which line on the right rectangle matched the line on the left rectangle. Even though it was quite obvious to the eye that the answer by the eight was wrong, about one-third of the participants (the ninth person to be asked) gave the wrong answer, conforming to the other eight. In the control group, in which only a single person was asked without the other 8 present, less than 1% gave the wrong answer. The lesson of the experiment: large fractions of us may judge or state illogically when we feel social pressure to conform to some majority or authoritative opinion. Another relevant experiment was the famous Milgram experiment. Participants were told to deliver electric shocks to an unseen person in another room, whenever the person failed at some verbal task he was given. The participants were told by a scientist figure in a white coat to deliver progressively more dangerous electric shocks to the unseen person in another room. If the participants objected to delivering such shocks, they were simply told something like, “Please continue” or “It is absolutely essential that you continue” or “You have no other choice but to continue.” Two-thirds (65%) of the participants delivered what they thought was a 450-volt shock to the person in another room, even though on the machinery they were using, that level was marked “Danger – severe shock.” The person in the other room wasn't actually being shocked, and the experiment was purely to test the obedience level of the person who thought he was delivering shocks. Some may say: but once something gets very popular in the universities and colleges, then surely it is something we can believe in. But that's not necessarily so. The 2016 book Imbeciles by Adam Cohen tells the story of the forced government sterilization of Carrie Buck. Carrie Buck was a woman of normal intelligence who was forcibly sterilized by the government in 1927, on the claimed grounds that she was “feeble-minded.” This was done under a Virginia law passed when eugenics was extremely popular in colleges and universities. Advocates of eugenics argued on Darwinian grounds that those with inferior genes should be sterilized to preserve the survival of the fittest. The book says this on page 4: “Eugenics was taught at 376 universities and colleges, including Harvard, Columbia, Berkeley, and Cornell.” The book notes that many professors were ardent supporters of eugenics, which went out of style after its ideas reached a climax under the Nazis. The case of Carrie Buck went before the United States Supreme Court, which ruled 8-1 in 1927 that Carrie Buck (a woman of normal intelligence) should be forcibly sterilized. Citing eugenics with approval, the distinguished justice Oliver Wendell Homes Jr. wrote in favor of the decision, in a decision that was quoted by a Nazi in the Nuremberg trial, who cited it as a kind of legal inspiration. Thousands were forcibly sterilized under the Virginia law, and the forced sterilizations continued until 1972. The Buck case shows how there can be diverse layers of authority that all are infected with the same false idea (something also shown by the 2003 WMD-lies fiasco, where diverse types of authorities kept feeding us the same falsehoods). The reason why we should not trust a doctrine purely because it is taught extensively in colleges and universities is that our academic ivory towers are very prone to become ideological enclaves, where sociological effects, tribal enthusiasms and groupthink may cause some dubious doctrine to become enshrined as some “darling of the tribe.” That's what happened with eugenics for decades, and the same thing has happened to quite a few dubious doctrines that continue to enjoy undeserved popularity in academic circles. Part of the problem is what I might call the “pinnacle perspective.” A person using this perspective will regard our current state as being the pinnacle of human progress. He may think: we can't be too far wrong, because we're at the pinnacle of human progress. The problem with such a perspective is that you could have thought in exactly such a way 500 years ago or 200 years ago. We can imagine someone during the witch-burning craze around 1500 reasoning: we can't be too far off the mark, because we're at the pinnacle of human progress. Such a person would have been very wrong indeed. To help cure yourself of the pinnacle perspective, imagine some human civilization 100,000 years in the future. What will they think about our current ideas about morality, life, and Mind? They will probably think that our ideas are largely primitive foolishness. After taking such a perspective, you may apply the proper scrutiny to the dogmatic claims of today's authorities. Do not believe anything merely because a president, a preacher or a professor proclaimed it, but subject all of their claims to critical scrutiny. Around about 1978, cosmologists (the scientists who study the universe as a whole) were puzzled by a problem of fine-tuning. They had figured out that the expansion rate of the very early universe (at the time of the Big Bang) must have been incredibly fine-tuned, apparently to one part in ten to the sixtieth power. This dilemma was known as the flatness problem. Around then Alan Guth (an MIT professor) proposed a way to solve the flatness problem. Guth proposed that for a tiny fraction of its first second (for less than a trillionth of a trillionth of a second), the universe expanded at an exponential rate. The universe is not expanding at any such rate, but Guth proposed that after a very brief instant of exponential expansion, the universe switched back to the normal, linear expansion that it now has. Even though there was no evidence for it, and the idea was very far-fetched from the beginning, Guth's idea became very popular among the small tribe of cosmologists. We can call this idea Guthism, and we can call the small tribe of cosmologists who adopted it Guthists. Guthism can also be called the cosmic inflation theory, although Guthism may be better term, to avoid confusion with the broader concept of the expansion of the universe (which does not require the idea of primordial cosmic inflation). In January of 2017 Scientific American published an article attacking Guthism. The article was written by Princeton professor Paul Steinhardt and Harvard professor Abraham Loeb, along with Anna Iijas. The trio methodically dismantled the Guthist idea of primordial cosmic inflation. Two improbable criteria have to be satisfied for inflation to start. First, shortly after the big bang, there has to be a patch of space where the quantum fluctuations of spacetime have died down and the space is well described by Einstein’s classical equations of general relativity; second, the patch of space must be flat enough and have a smooth enough distribution of energy that the inflationary energy can grow to dominate all other forms of energy. Several theoretical estimates of the probability of finding a patch with these characteristics just after the big bang suggest that it is more difficult than finding a snowy mountain equipped with a ski lift and well-maintained ski slopes in the middle of a desert. More important, if it were easy to find a patch emerging from the big bang that is flat and smooth enough to start inflation, then inflation would not be needed in the first place. Recall that the entire motivation for introducing it was to explain how the visible universe came to have these properties; if starting inflation requires those same properties, with the only difference being that a smaller patch of space is needed, that is hardly progress. The scientists also tell us, “Not only does inflation require starting conditions that are difficult to obtain, it also impossible to stop inflation once it gets going.” They are referring to the “graceful exit” problem. Appealing to an “inflaton field” that has never been discovered, Guthism tells the tale that exponential cosmic inflation lasted for less than a trillionth of a second, and that it both started and stopped during the universe's first second. But getting the stopping to occur requires fine-tuning and vastly improbable circumstances similar to the fine-tuning and vastly improbable circumstances needed to get this exponential cosmic inflation beginning in the first place. It's like trying to explain an elephant appearing out of nowhere and then disappearing in less than a second. The three scientists suggest a “bouncing universe” theory as an alternative to Guthism, but there are powerful reasons (discussed here) for rejecting such a theory. Our three scientists have done a fine job at showing the low credibility of Guthism, but have not succeeded in presenting some viable alternative. But that's okay, because we can simply say that we do not understand the universe's beginning, rather than pretending to understand primordial mysteries beyond our comprehension and knowledge. Kudos to anyone who shows the weaknesses of a prevailing theory, even if they don't succeed in presenting a viable replacement for such a theory. What do you call a theory that tells a “once upon a time” story describing unproven and unbelievable narrative details of the universe's first second – a theory hanging around because it has become a verbal story tradition of a little clique of scientists? The best term I can think of is: tribal folklore. 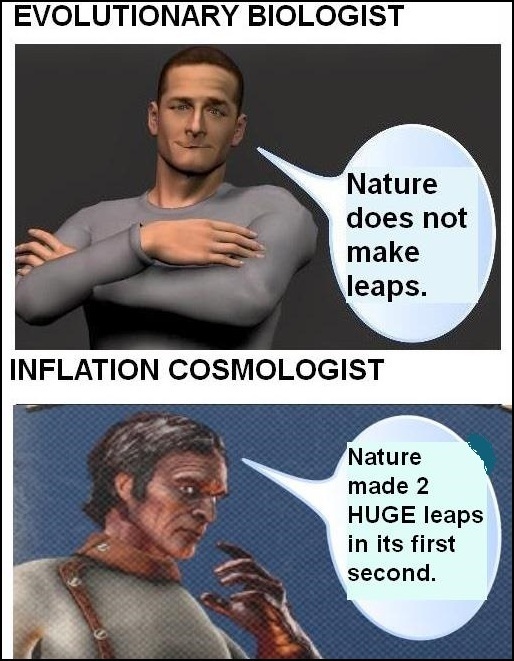 Darwinists have constantly been telling us, “Nature does not make leaps.” But the cosmic inflation theorists want you to believe that nature made two gigantic leaps in its first second. 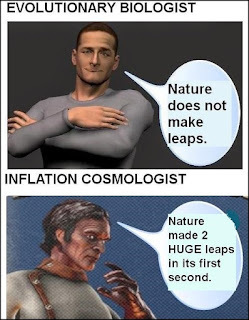 According to them, the first of the leaps when was this exponential period of cosmic inflation started; and the second leap, a fraction of a second later, was when this exponential period of cosmic inflation ended (with the universe returning to the normal, linear expansion rate we now observe). Is there any chance that this folk tale will ever be verified? No, because we can never hope to look back to the beginning and see what happened. The cosmic density preceding the “recombination era” scattered photons from the very beginning of the Big Bang, and prevents us from looking back to a time earlier than about 380,000 years after the Big Bang. The Scientific American article by the three scientists has provoked an unusual response. The main supporters of Guthism (including Alan Guth and Andrei Linde) along with about 30 other cosmologists have published a rebuttal article called “A Cosmic Controversy.” It is kind of an authoritarian power play, designed to impress the reader by listing authorship by some of the top names in cosmology. The list of authors is very impressive, but the reasoning of the rebuttal is very unimpressive. Let me explain why such things cannot be cited as good evidence that Guthism is correct. First, we must recognize that many a false theory may make a true prediction. Some person may have a false theory that the Freemasons are secretly plotting to take over the world. That theory may predict (among other things) that interest rates will rise, that the stock market will go down, and that real estate prices will not change much. If it then happens that each of these three things happens, it does nothing to prove that such a theory of a Freemason conspiracy is correct. There would be about 1 chance in 10 of such predictions being right accidentally, and a 1 in 10 coincidence is not an impressive one. In physics the theories of gravitation, electromagnetism, and quantum mechanics are regarded very highly because they make very precise predictions that turn out to be exactly correct. For example, a theory of gravitation may predict that a particular small asteroid will crash into the moon at exactly 10:35 PM EST on January 23, 2025. When such exact predictions turn out to be precisely true, it is very impressive, because it's hard to see how the theory could be so precisely right if it were not true. If the theory were not true, such a prediction would seem to require perhaps a 1 in a billion coincidence. Conversely, there is nothing impressive about a theory being correct with a few predictions that may be coincidentally correct with a likelihood of about 1 in 2 or 1 in 3. The overall unlikelihood of such a level success is only about 1 in 6 or 1 in 9, which is not very unlikely at all. In the case of the predictions of Guthism (primordial cosmic inflation), the items mentioned by the “A Cosmic Controversy” rebuttal are items that would have not been very unlikely for a false theory to have predicted. There are three possible geometries of space (flat, open, and closed), so you have 1 chance in 3 of being right if you pick one of those. If you guess that primordial ripples were Gaussian, you have about 1 chance in 2 of being correct. If you guess that primordial ripples were scale-invariant, you also have 1 chance in 2 of being correct. If you guess that fluctuations were adiabatic, you also have about 1 chance in 2 of being correct. We may also note the fact that over the past 35 years there have been many hundreds of papers published presenting different versions of Guthist cosmic inflation theories. The predictions of these models have been “all over the map.” Typically a particular version of the theory will present a model consisting of equations, with lots of free parameters that can be plugged into the equations. A particular model (one version of the cosmic inflation theory) may predict a million different things, depending on what is chosen for the free parameters. And hundreds of such Guthist models have been published, each with slightly different equations. 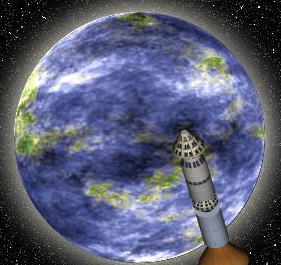 So even the meager predictive successes mentioned in the “A Cosmic Controversy” rebuttal are not at all something that can be trotted out as some sign that “the predictions of cosmic inflation theory have been verified.” The few predictions mentioned are predictions cherry picked from a large family of models, which made predictions all over the map. If I advanced some economic theory, and got disciples to grind out hundreds of different flavors of my theory, I would no doubt be able to find among some of these works some successful predictions that each had a chance probability of maybe 1 in 2 or 1 in 3 of being correct. But that would not be evidence that my theory was correct. Similarly, a few successful predictions (none very numerically exact) among the huge number of Guthist cosmic inflation models is not at all impressive, and something we might well expect to occur by chance. The “successful predictions” cited in the “A Cosmic Controversy” rebuttal are also things that have been produced as the evidence was gradually coming in. It's not too hard to get successful predictions if you are predicting as the evidence is coming in. For example, if it's 2007 and the evidence is starting to come in that the housing market is collapsing, it's not hard to predict in that year that the housing market will collapse. It would actually be a gigantic project probably requiring years of work for someone to analyze whether the predictions of cosmic inflation models have been mainly successful or mainly unsuccessful. You would have to do something like put together an incredibly complex computer program that included thousands of equations that were extracted from more than 500 cosmic inflation papers published in the past 35 years. You would then have to vary the input parameters on all of these models, and see how well the results matched up with a large variety of cosmological observations. No one has ever done such a thing, partially because of the runaway complexity of such a project, which might be thousands of time more difficult than checking the accuracy of IPCC predictions on global warming. In short, it is not right to claim that predictive successes show some likelihood that Guthist cosmic inflation actually occurred. We must also consider that the Cold Spot in the cosmic background radiation seems to be inconsistent with what such a theory predicts (as discussed here). Imagine a salesman who knocks on your door and tells you he can make your kitchen look real nice if you spend only a few dollars to do some simple work. You let him in to do some work, thinking it will be a simple affair. Imagine the guy starts fiddling with the pipes and electricity, and then eventually tells you the job is going to cost you many thousands of dollars. You think to yourself: I never would have let this guy in if he had told me that at the beginning. The tale of Guthism is a similar tale. It was originally pitched as something pretty simple. So cosmologists welcomed it. As time progressed, and the simplest versions kept failing, our Guthists eventually indicated that the theory required a whole multiverse (a huge collection of universes). The theory never would have been initially welcomed if this gargantuan requirement had been confessed at the very beginning. But by the time the multiverse requirements of Guthism had become apparent, the Guthist thought virus had infected so many cosmologists that they were reluctant to say, “This thing has got out of hand – we've been going in the wrong direction.” It's rather like a husband who takes the wrong turn trying to get from New York City to Philadelphia. If you point out his mistake the first few miles, he may turn around. But by the time he's gone a hundred miles down the wrong road, he may never admit he made a wrong turn. And even if he starts seeing signs saying, “Welcome to Massachusetts,” he may still swear he made the right turn. Here is a relevant previous post of mine, entitled "Let's Keep the Big Bang but Dump the Cosmic Inflation Theory."